A southern hemisphere object. It is a large globular cluster in the constellation of Centaurus. 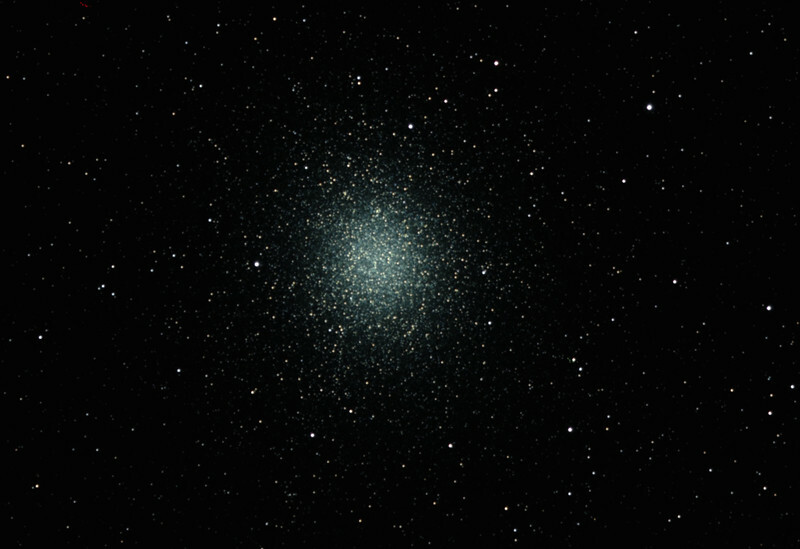 Omega Centauri is so distinctive from the other galactic globular clusters that it is thought to have an alternate origin as the core remnant of a disrupted dwarf galaxy. Remotely imaged on a 90mm refractorat Siding Spring Observatory located in NSW Australia.